A quick 75-minute ferry ride from Dubrovnik, Sipan is considered one of the most accessible of south Croatia's array of coast-hugging islands, making it suitable for an overnight stay. 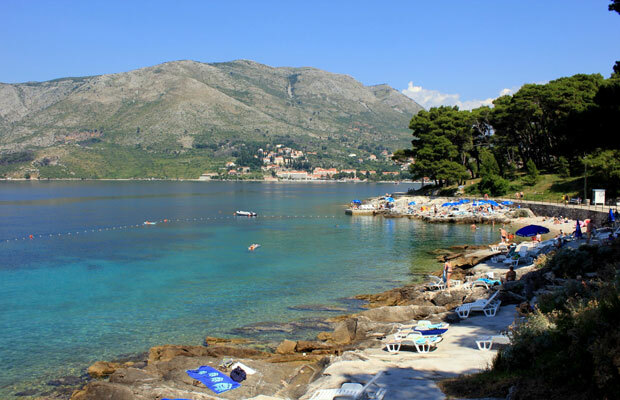 Along with Lopud and Kolocep, Sipan is one of the three main Elaphite Islands (named after the Greek word for 'deer,' who were the islands' original inhabitants), though because it sits farthest from Dubrovnik, Sipan generally offers the least crowded beaches. To step things up a notch, the popular Hotel Bozica (from $37), whose 26 rooms all face the ocean, offers complimentary transportation from the mainland by speedboat. If your time in Dubrovnik is very limited, and the thought of island-hopping seems impossible, sleepy Cavtat allows visitors to experience another, smaller coastal town on the Adriatic that's not Dubrovnik. Boasting several important attractions – the Racic family mausoleum, the house museum of painter Vlaho Bukovac, and the charming Old Town, to name a few – Cavtat is as mellow as it is rich with history. From Dubrovnik, it's a simple 25-minute bus ride to Cavtat; and if you show up ready to get in the water, Sea Kayaking Cavtat offers guided tours from $36 per person. 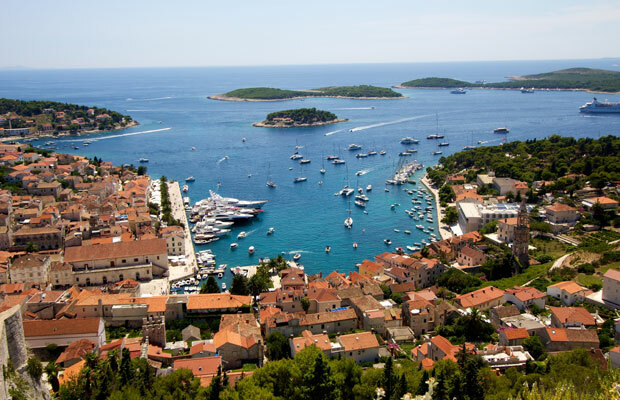 There are a million and one ways to get to Hvar, Croatia's nascent celeb hot spot, which has attracted the likes of Bill Gates, George Clooney, and even Jay-Z and Beyonce (for a full list of recent A-list visitors, see here). Depending on your needs, you might end up price-checking flights into the nearby Split Airport (which competes with Dubrovnik as the second-busiest in all of Croatia, and which is implementing the second phase of a large scale airport expansion program), where you can choose from a ferry, or catamaran to reach nearby Hvar. Because of all the options (many of which are available year-round), it can be tempting to turn Hvar into a daytrip from Split, but in reality the town, with its picture-perfect marina, lively bars, and easy access to gorgeous, unspoiled beaches like those in the Pakleni Islands, is worth more of your time, even in the off-season. 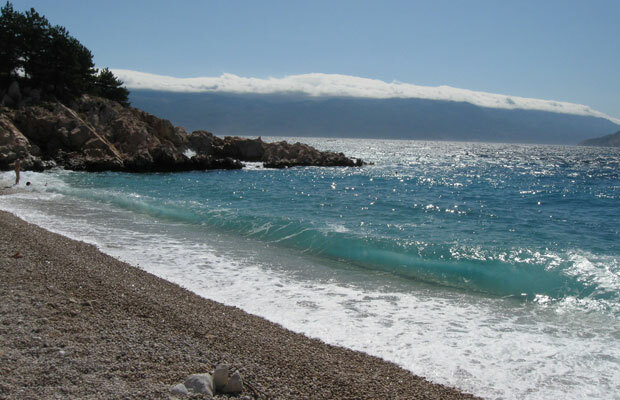 The number one attraction on the island of Krk is undoubtedly Baska, a pristine, unspoiled beach along the island's southern coast, and possibly one of the most idyllic beaches in all of Croatia. Few shops and restaurants dot the rocky shore (so be sure to bring along all of your supplies, such as towels, food, water, etc.). To access it, you'll have to hike down a zig-zagging cliff, but that only adds to the rugged, back-to-nature appeal of the place. From the airport at Rijeka (which is serviced by Ryanair), Krk is an easy bus ride, as it's connected to the mainland by a 4700-foot-long reinforced concrete bridge. Ready to book? If Croatian island-hopping sounds like something you'd be into, check out this 7-night small ship cruise, sailing next May from Dubrovnik to Brac, Hvar, and Korcula. Meals and transfers are included, and you'll save $200.